Henry Moore – Festival. The 1951 work was commissioned for the Festival of Britain. 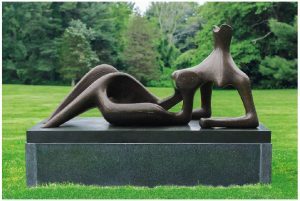 Christie’s Defining British Art: Evening Sale, curated as part of the celebrations of the 250th anniversary of the company, was led by an iconic sculpture by Henry Moore in London tonight. His Reclining Figure, Festival sold for a record £24.7 million in a sale that brought in £99,479,500. 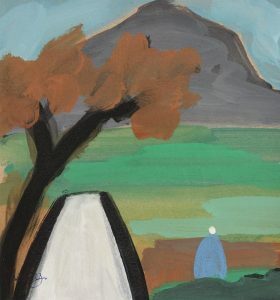 There were records for Frank Auerbach, Lynn Chadwick, Frederick Lord Leighton, Henry Moore, Samuel John Peploe, Bridget Riley, David Roberts and Thomas Daneill. Registered bidders from 32 countries from across four continents demonstrated continuing global demand. The sale was 87% sold by lot and 83% sold by value. The diverse works of art represented provided a journey through British art over four centuries. Version No. 2 of Lying Figure with Hypodermic Syringe by Francis Bacon made £20.2 million. Ever since James Christie first opened his doors in 1766 the company has championed art and artists and artists like Reynolds and Gainsborough were regular visitors to the rooms in early years. The salesroom shot taken last night. Jean-Michel Basquiat’s Pork (1981) was the top lot at Christie’s post war and contemporary sale in London last night. 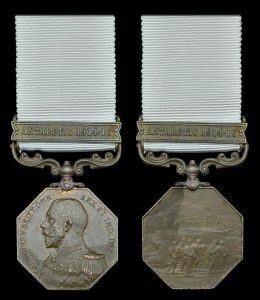 From the collection of the actor Johnny Depp it made £5,122,500. Basquiat’s Self Portrait (1981) also from the Depp collection made £3,554,500. Christie’s said that Depp’s focused collecting eye met with keen approval in the sale room. Sean Scully’s Eve (1992) achieved a record £902,500 and Manolo Millares’ Untitled (Composition) Painting no. 4 made £842,500. A total of 10 works sold for over £1 million, with 16 for over $1,000,000 and 17 for over €1,000,000. Registered bidders from 39 countries across four continents demonstrated the continued demand in the global contemporary market, as well as a proven strength of the domestic market with 10 lots selling to UK-based collectors. A c1790 Italian chimney piece from a collection in Ireland was one of a number of Irish pieces spotted at Masterpiece, the pre-eminent London fair now running at the Royal Hospital in Chelsea. 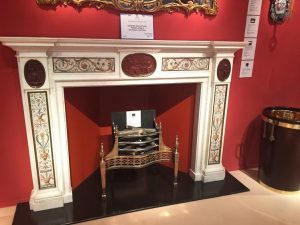 At the stand of leading London dealer Ronald Phillips, where it is priced at a cool £850,000, the chimney piece is thought to have been commissioned by the Earl Bishop of Derry. 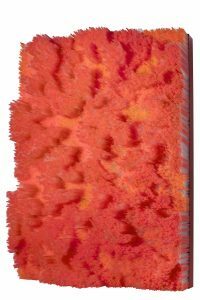 There are rosso antico plaques and micro-mosaic panels. The last time such a fireplace came up at auction, at Sotheby’s around five years ago, it sold for £550,000. The bucket to the right of the chimney piece is one of a pair c1800 of Irish log buckets with brass handles and later brass liners. 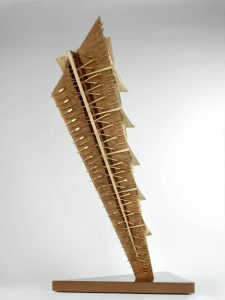 They are unusually tall and priced at £205,000. More than 8,000 guests attended the opening day preview yesterday. Many exhibitors reported robust sales. The c1790 Italian chimney piece from a private Irish collection. 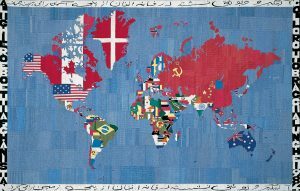 Financial markets may be fluctuating in the wake of the Brexit vote, but the art market showed its durability at Sotheby’s June 28 Contemporary Art Evening sale. Two artist records led the auction – Jenny Saville’s monumental Shift brought £6.8 million and Keith Haring’s The Last Rainforest realised £4.2 million. 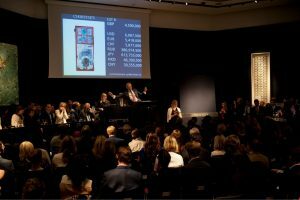 Bidding was strong and competitive from the sale’s opening lots, notably Yayoi Kusama’s Infinity Nets (£677,000) and a buoyant Alexander Calder mobile (£1.7 million). A trio of works by Jean Dubuffet and two canvases by the sought-after painter Adrian Ghenie also contributed to the £52.2 million total. 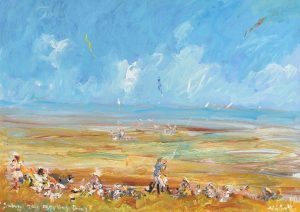 Last exhibited at the epoch-defining exhibition “Sensation: Young British Artists from the Saatchi Collection”, Shift merits its revered place in art history as the standout work of Saville’s prodigious career. Offered at auction for the first time the painting tripled the artist’s previous auction record of £2.1m set in 2014. 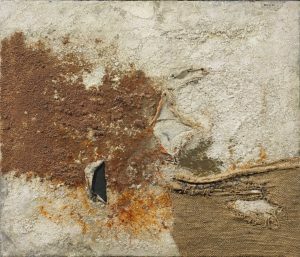 Making its first appearance at Masterpiece – which previews in London tomorrow and runs from June 30 to July 6 – Tornabuoni Art will present a selection of work by modern and contemporary artists. From Giorgio De Chirico’s early surrealist paintings to Turi Simeti’s latest works, the booth will reflect the 20th century Italian artistic panorama. A pair of fossilized Great Irish Elk horns and skull will come up at Fonsie Mealy’s Chatsworth Fine Art sale in Castlecomer on June 28 and 29. 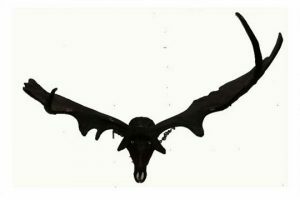 The horns with 12 points are approximately six feet eight inches across. There is some chipping loss and repairs. From Dartrey House, Co. Monaghan they are estimated at 10,000-15,000. Another animal lot is a large late 19th Century tiger skin with snarling head and teeth. This is estimated at 1,000-1,500. 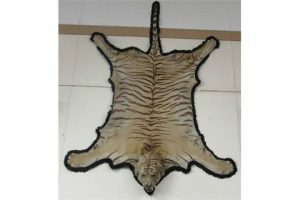 A 19th century tiger skin. 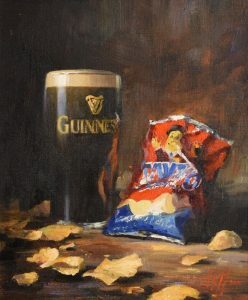 Paintings by Yeats, Lavery and Henry are to be offered at Sotheby’s Irish art sale in London on September 13. 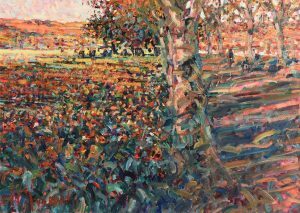 The three works were stolen from a house in Co. Wicklow in 2015 and are now being offered for sale by insurance company Chubb. The combined estimate for the works is £47,000-70,000. 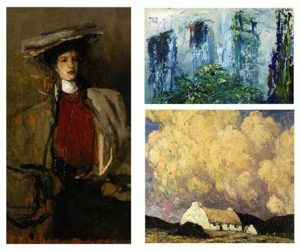 The painting are Jack Butler Yeats’ The Fern in the Area, Paul Henry’s Landscape with Cottage, and Sir John Lavery’s Portrait de femme au chapeau. 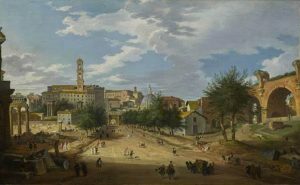 Masterworks by Panini and Vernet which shed light on Rome’s extraordinary effervescence of the 1750’s are among the lots on offer at Sotheby’s Old Masters evening sale in London on July 6. 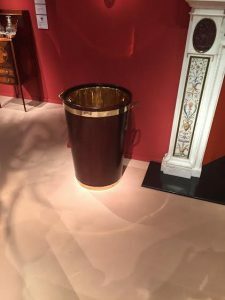 With its glorious monuments from Antiquity, masterpieces of the Renaissance and the Baroque, and a rarefied and international contemporary art scene, artists travelled from far and wide to be stimulated by this magnetic cauldron of art. 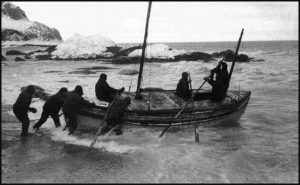 The most successful of them were commissioned to record the favourite places of grand tourists and other foreign visitors. Such was the case for Claude Joseph Vernet who arrived in Rome in 1734 and who, with the leading local Roman painter of the time Giovanni Paolo Panini, would harness the city’s past and present, and together propel the art of landscape painting into a new era.